This petition requests the City Council to enact common-sense ordinances regulating medical and adult-use cannabis businesses, from cultivation to retail sales, for a Healthier, Safer, and Stronger Half Moon Bay. With the November 8, 2016 passage of Proposition 64, California voters legalized the adult-use of cannabis under State law and directed State agencies to develop a regulatory and licensing program for commercial cannabis businesses. Local governments have the authority to further regulate commercial cannabis activities (both medical and adult-use) within their jurisdictions. Senior and adult medical patients suffering from chronic pain and other health conditions will have safe, regulated access to cannabis so they may take advantage of the well-known therapeutic benefits, thereby improving their lives and participation in our community. Further, peer reviewed medical research published in the Journal of American Medical Association shows that state-regulated cannabis programs reduce opioid overdose deaths by 25% (Bachhuber et al, 2014) and significantly reduce the number of opioid prescriptions written, particularly for seniors (Bradford et al, 2018). The absence of local regulation and local taxation invites criminal activity and grows the illicit market, thereby endangering our community and exposing our children to risk. More importantly, as reported by the Washington Post, common-sense community regulations reduce teen use of cannabis, alcohol, tobacco, and heroin. Without local regulation and the opportunity for local businesses to control all aspects of the cannabis market, our community will be subject to the whims and market conditions of those around us. Absence of regulation weakens economic opportunities for our citizens and deprives the City of revenue needed to support schools, law enforcement, and other services to improve and protect our community. Urge the Half Moon Bay City Council to protect our community through common-sense local regulation of cannabis businesses! We, the undersigned, request that our Half Moon Bay City Council enact common-sense ordinances regulating the full range of medical and adult-use cannabis businesses, including manufacture, retail, distribution, testing, and especially cultivation, to protect our citizens and economic interests, and for a Healthier, Safer, and Stronger Half Moon Bay. 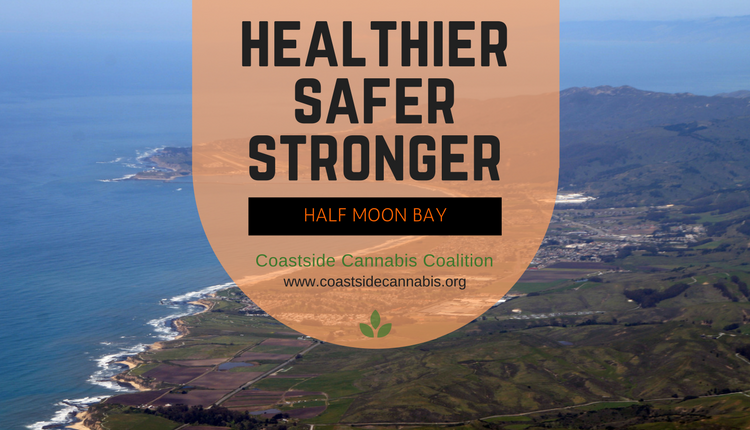 The Healthier, Safer, and Stronger Half Moon Bay petition to Half Moon Bay City Council was written by Coastside Cannabis Coalition and is in the category Local Government at GoPetition.